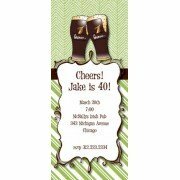 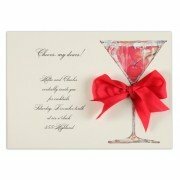 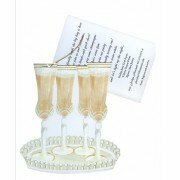 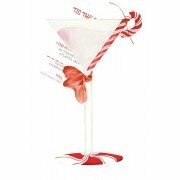 This 5" x 7" invitation features a martini glass embellished with a silk ribbon. 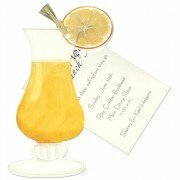 Perfe.. 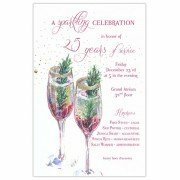 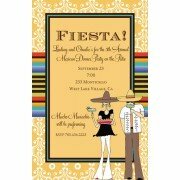 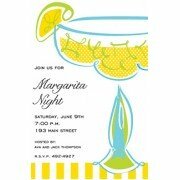 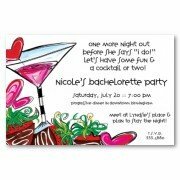 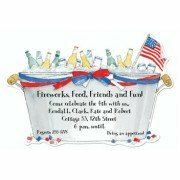 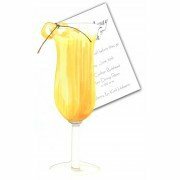 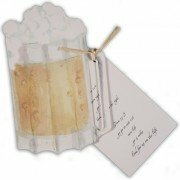 This 5.75" x 8.75" invitation is perfect for a cocktail or fiesta themed party. 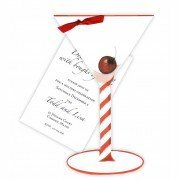 White envelopes i..
Includes: Die Cut Invitations, White Envelopes Card Stock: Printed on 80.. 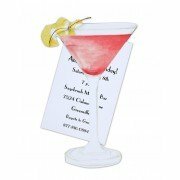 This invitation in shape of a Cosmo is perfect for birthdays, bachelorette or cocktail ..